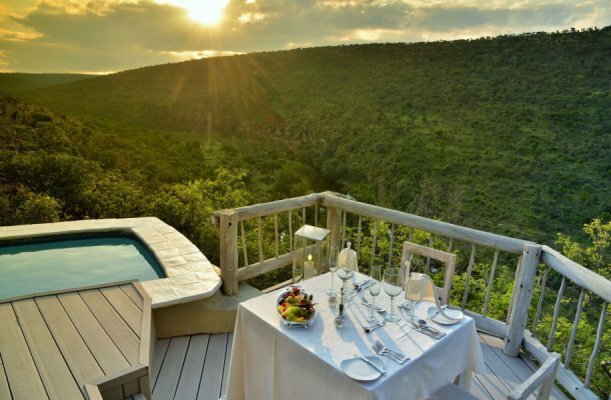 Clifftop Exclusive Safari Hideaway has sublime clifftop status in the Welgevonden Private Game Reserve, 3 hours by road from Johannesburg. 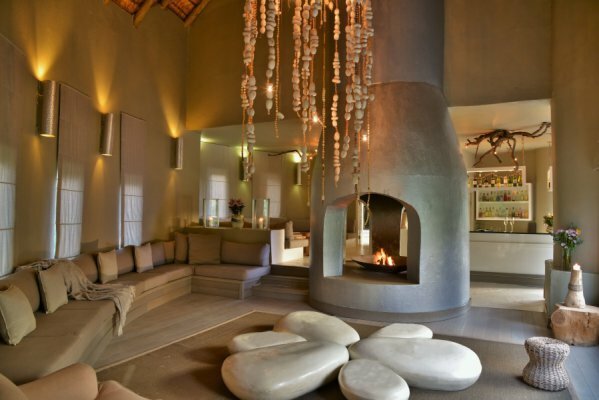 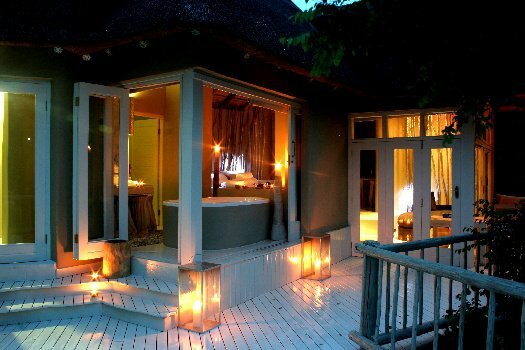 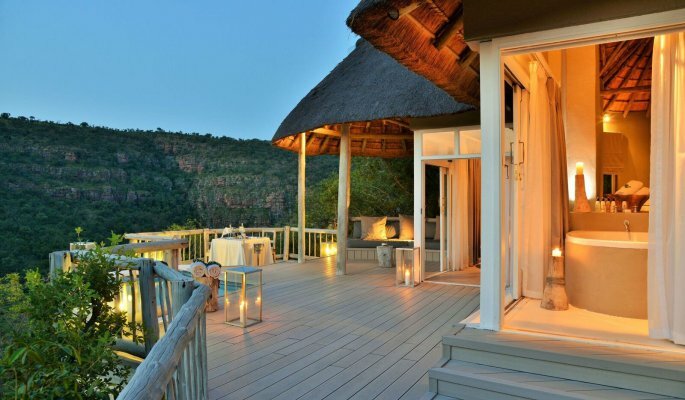 Wildlife experiences are enjoyed in a malaria-free area, in tandem with ultra-stylish African bush living. 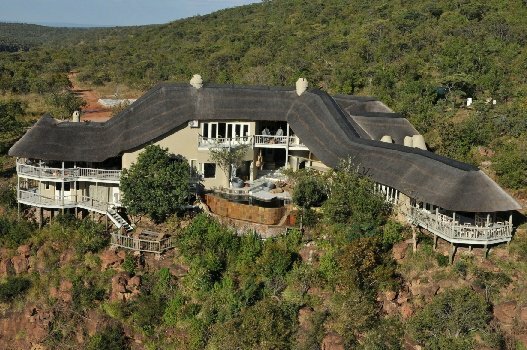 Eight luxury suites tower above a river, each with private deck and plunge pool, and opportunities for game sightings from a supreme cliffside vantage point. 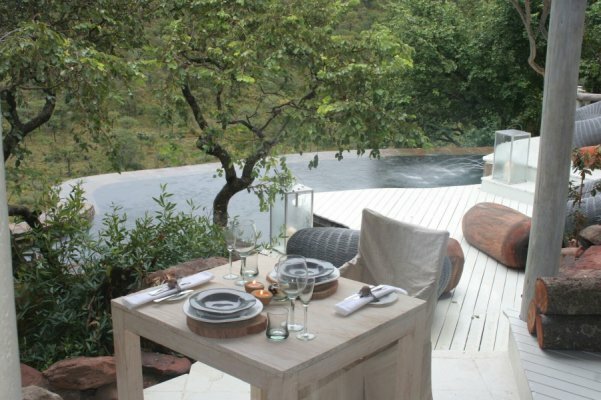 The surrounding scenery is spectacular. 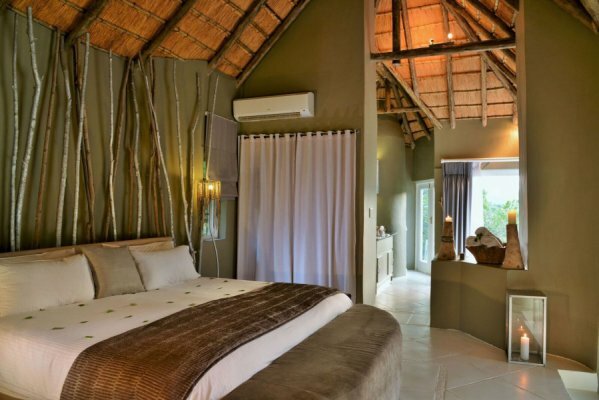 All suites have indoor and outdoor showers, and bathrooms with outstanding views. SA RESIDENTS LAST MINUTE OR 3+ NIGHTS SPECIAL: R3480-00 per person sharing per night, when you book within 7 days of your stay, or when you book 3-plus nights. 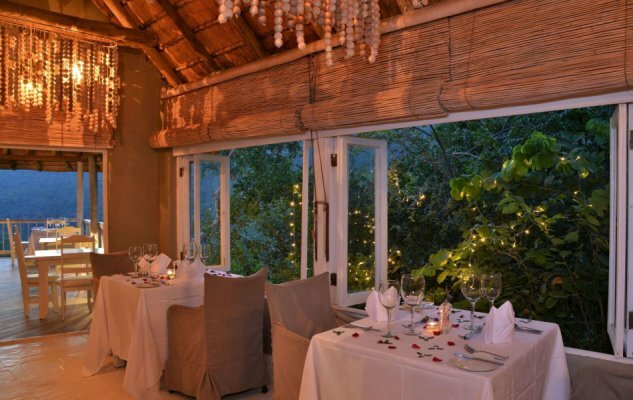 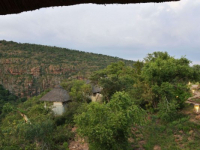 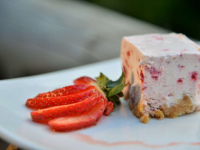 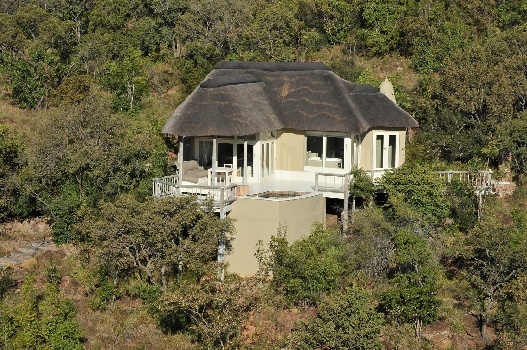 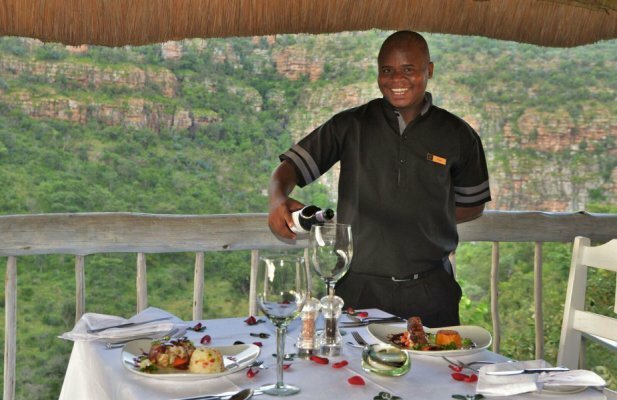 Rate includes accommodation, three meals, selected beverages and two game drives daily. 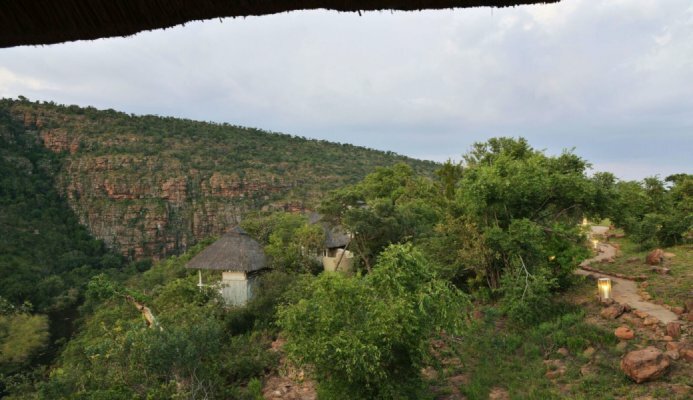 Subject to availability and excludes peak periods, Valid for travel until 14 December 2019. 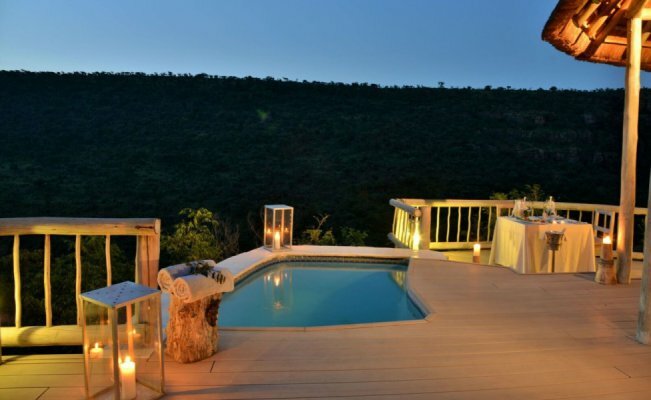 SA RESIDENTS' MIDWEEK SPECIAL: R2950-00 per person sharing per night between Sunday and Thursday, except for peak periods. 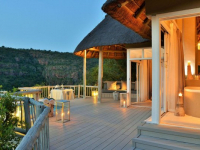 Rate includes accommodation, three meals, selected beverages and two game drives daily. 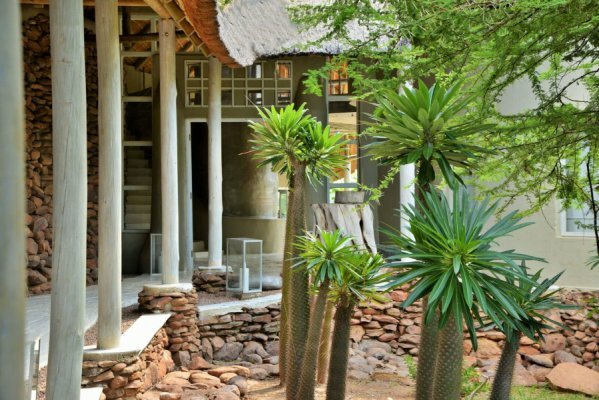 Subject to availability and valid for travel until 14 December 2019. SA RESIDENTS' WEEKEND SPECIAL: R3940-00 per person sharing per night on a minimum 2-night stay, Friday - Saturday. 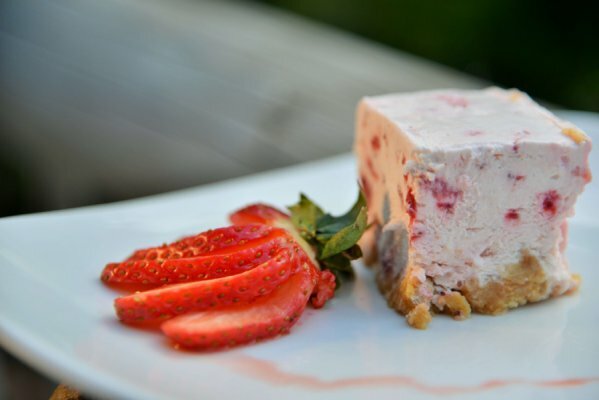 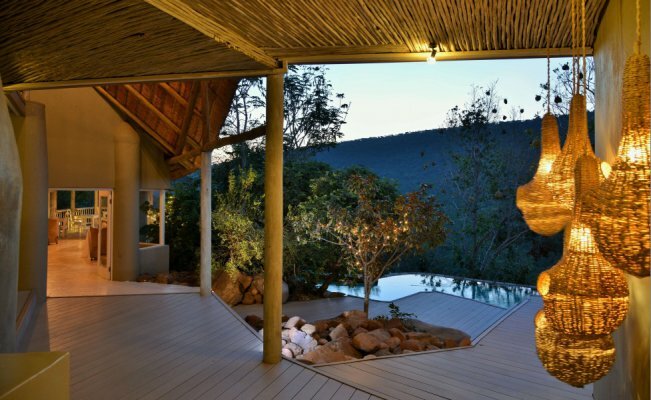 Subject to availability and minimum 2- night stay, and minimum 3-night stay over peak periods. 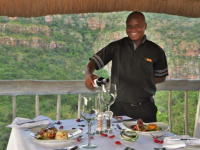 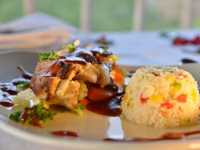 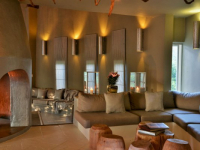 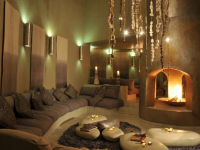 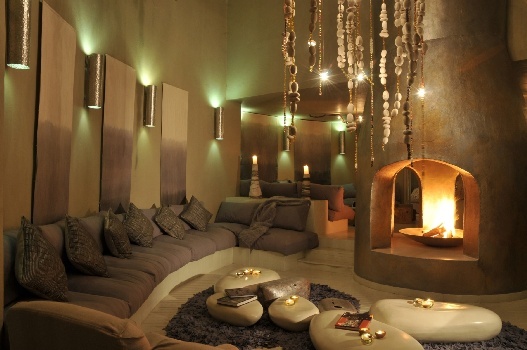 Rates include accommodation, three meals, selected beverages and two game drives daily. 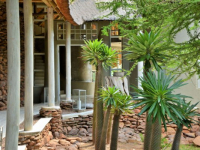 Valid for travel until 14 December 2019. 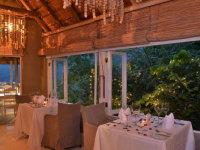 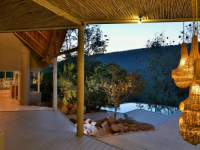 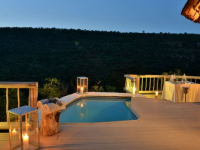 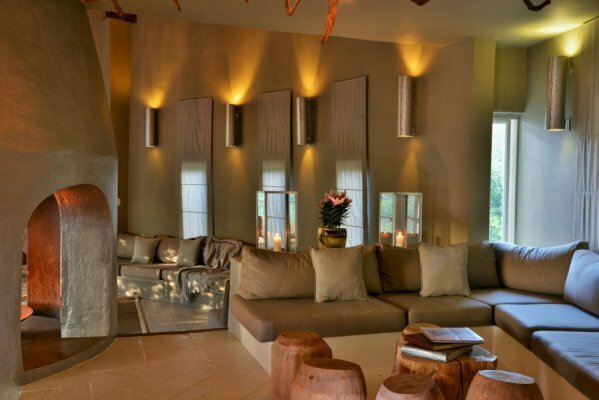 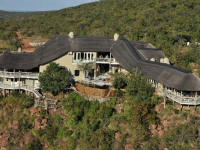 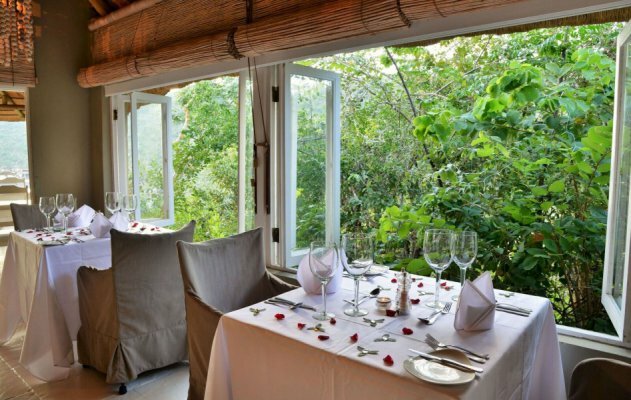 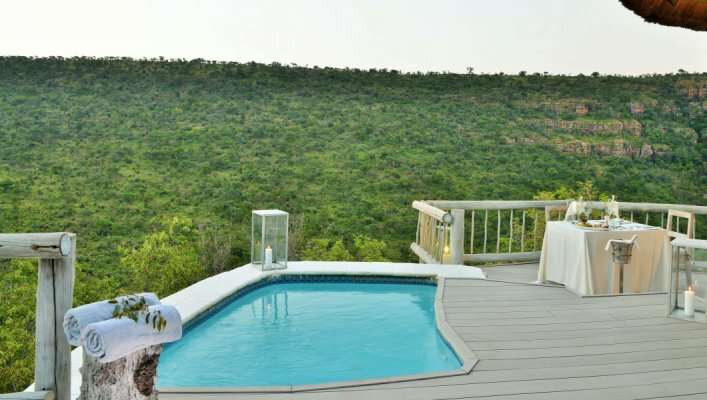 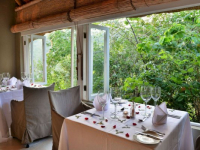 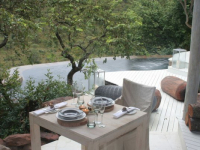 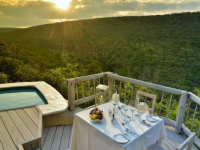 Clifftop Exclusive Safari Hideaway offers boardroom conferencing for 16 guests. 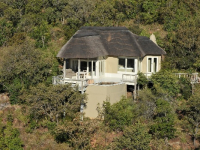 Equipment includes data / video projector, screen, flip charts, internet access and stationery.